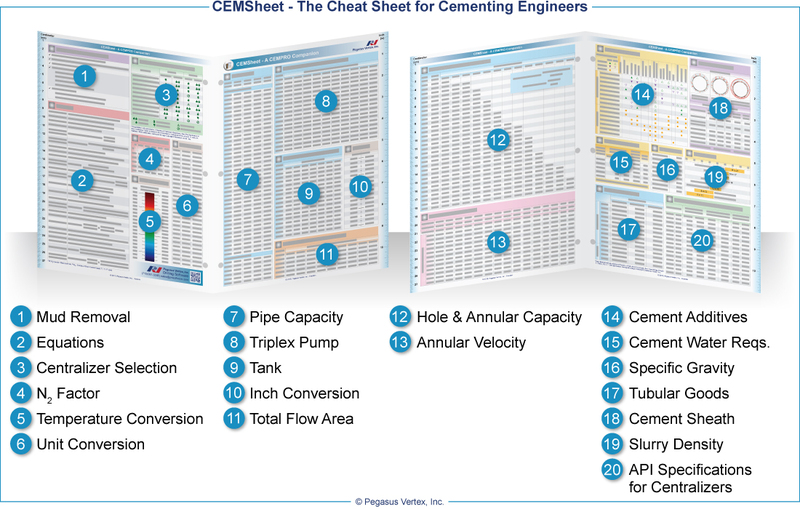 Designed for cementing engineers, CEMSheet is a cheat sheet containing more than 2,000 data related to cementing engineering, ranging from pipe capacity, pump output to additives. We, engineers, are often overwhelmed by the information scattered around in various media forms. 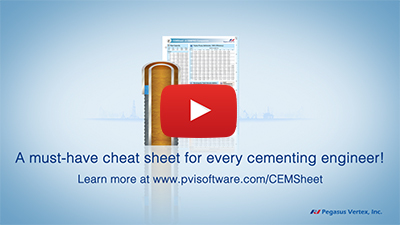 Now, the most essential information from engineering handbooks, SPE textbooks, API Standards, IADC manuals, has been distilled into CEMSheet, a must-have resource for every cementing engineer and technician to get the job done accurately and efficiently.